then inside the Details list they added a lookup field to reference the Master list. Inside the Master display form, i was not able to move the Master item's metadata info (created, modified, content type info), to be below the Data View items. not sure if this is actually possible. 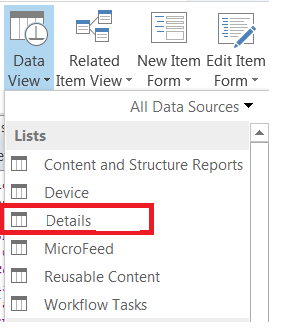 if i access the Master item's display form in modern interface, then the Data View component will not be shown !! so can i conclude that modern interfaces will skip any Data View component added to the list forms? if this is the case, then i need to re-think of using Data Views, as we are trying to use the modern interfaces as much as possible. i am not sure if i can add a Data View component in edit mode, inside my Master list's edit form, which will allow me to add Details items, while editing the Master item? I'm not sure, but I don't think it's possible. Definitely not possible. 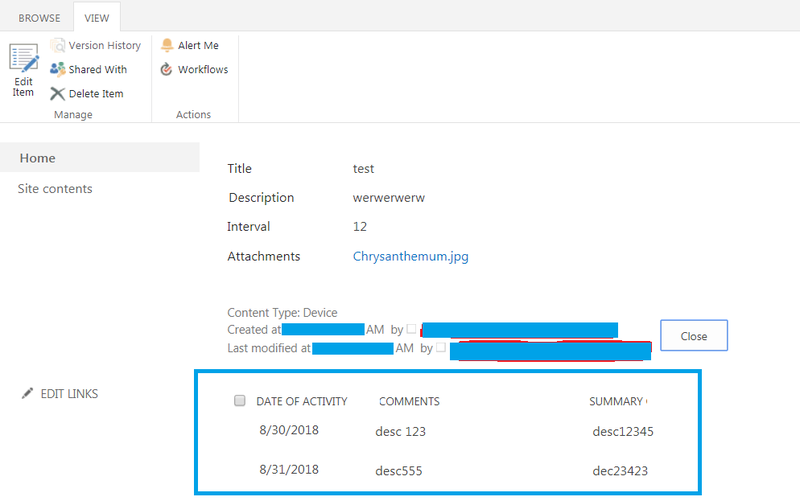 SharePoint designer, Data view en Webpart connections are not part of the modern ui. Webpart connections are just announced for Q1 2019. If you want this in Modern UI you could check if you could get something like this to work with PowerApps if you want to go No Code and host the PowerApp in a webpart on the page. Otherwise you need to develop your own SPFX webpart. Not the answer you're looking for? Browse other questions tagged sharepoint-online development data-view-web-part aspx dataview or ask your own question.